Chapters 9 and 10 (and also chapter 11) can be regarded as addressing content that is not or only to a certain extent accessible to us, without having undergone the self development described in the previous chapters. One should be aware that even if we diligently practice the exercises and work on our own consciousness through devotion, meditation, and patience, we will - unless we are specially gifted and skilled - only be able to - so to speak - climb the first few steps on a staircase that reaches upwards and out of our sight. 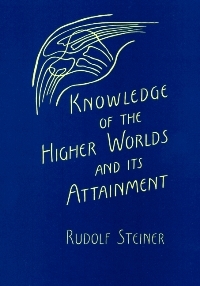 Rudolf Steiner quite consciously wrote these essays as a gift to humanity that is not only meant for present day humanity, but also for the future, when human beings will be able to develop themselves further than what is possible in our time, which has placed certain hindrances into the path of knowledge and self development. In chapter 9 we are made aware of the meaning of the "splitting of the personality," a phenomenon that - if we carefully observe - is happening in our time to humanity to a certain extent, but usually remains in the subconscious realms of consciousness. The experience that the three soul forces, thinking, willing, and feeling, drift apart, and become in a certain sense independent of each other, is a new phenomenon, not experienced by human beings in the past, or not to the same extent. The task of the "student of Anthroposophy" - but also the task of humanity in general - is to be able to unite the three soul forces in a new way, under the guidance of the awakened powers of the self, the higher ego of the human being. This self has the task to consciously create a union of the three soul forces. Much mental suffering in our time has to do with this problem, and much of the treatment of these problems with drugs, alcohol, and other "artificial" means of dealing with the perceived difficulties, show to the careful observer an almost epidemic problem of giant proportions. Tasks and Assignments for Lesson FS 1.11. Similar to the previous lesson, this study material is not easy to digest. You might experience irritation and resistance to the content of this chapter. We are well advised to try to steer a course that is balanced between the fact that indeed we do experience these inner struggles and the fact that humanity as of necessity goes through these phases in order to develop our consciousness and ultimately our ability to cope with the challenges of modern life. In addition we need to be cognizance of the fact that each individual is on their own path and at a different stage of inner development and will relate to this study material in an individualized way. Please feel encouraged to discuss and reflect on your own experiences and those of others you know with emphasis on describing your observations and less speculating about reasons or coming up with explanations, for instance: where in society do we see phenomena that we can link to the falling apart of the soul forces? Can we find descriptions of the soul forces in fairy tales? Often there are three brothers that have different skills and together accomplish something, or three tasks that need to be completed before an experience of unity is achieved. Consider the structure of the main lesson in the Waldorf School in that it addresses head, heart and hands, or thinking, feeling and willing, always with the aim of achieving harmony and unity. You might want to reflect on the following: In a Waldorf School we try to set up the governance of the school also in a threefold way with the faculty/college being one pillar, the administration and the community/development being the other two pillars. Ideally the board of trustees holds the greater picture and vision of the school with representation from all three groups. We can easily see that chaos and challenges result in case of one of the pillars/groups “running off” in one direction or trying to “take over” the organization by assuming (often well-intentioned) leadership over the whole and thereby derailing or at least hindering the work of the other groups. Such misguided or one-sided leadership might (as it often does) come from the administration who starts giving directives to the teachers on how and what to teach (as it is the practice in most public schools) or the community/development aspect of the school which includes the financial well-being (or lack thereof) starting to weigh in on all decisions by forcing the business rules (“bottom line” thinking) to bear on aspects of the school that are clearly pedagogical in nature. It is helpful to understand this as a tendency of our times which nevertheless needs to always be brought back into harmony if the good work of a school is meant to continue. A very helpful study material in this context is Ron Dunselman’s book “In Place of the Self." In this book Dunselman leads the reader to an understanding of how drugs work and deals with the question of why people take drugs in our time, how this is a modern phenomenon, why psychopharmaca are prescribed in epidemic proportions, and how these phenomena relate to the Anthroposophical world-view. He especially mentions the separation of the will-forces and how some people feel drawn to replace the work of the self (which has the task to re-unite the soul forces) with the use of drugs that seem to do this work for them, while others experience the separation of the soul forces and ask their doctors of therapist for drugs that mask this experience. For lesson 1.11. please study chapter 9 of "Knowledge of the Higher Worlds" by Rudolf Steiner. After studying the chapter, please turn to and work with the questions and tasks given below. 1. Study chapter 9. Write a summary of the chapter in your own words. 2. Comment on the content of chapter 9 in general. 3. Comment on observations you made concerning yourself and how you deal with the idea of "the splitting of the personality." 4. Comment on observations you made concerning others and how they deal with the idea of "the splitting of the personality." During sleep no impressions are conveyed to the human soul through the instrumentality of the physical sense-organs. The impressions from the ordinary outer world do not find their way to the soul when in that condition. In certain respects the soul is actually outside the part of the human being — the so-called physical body — which in waking life is the medium for sense perceptions and thought. The soul is then only connected with the finer bodies (the etheric body and the astral body), which are beyond the scope of physical sense observation. But the activity of these finer bodies does not cease during sleep. Just as the physical body is connected and lives with the things and beings of the physical world, affecting them and being affected by them, so, too, does the soul live in a higher world; only, this life of the soul continues also during sleep. The soul is in full activity during sleep, but we can know nothing of this activity so long as we have no spiritual organs of perception through which to observe what is going on around us and see what we ourselves are doing during sleep, as we observe our daily physical environment with our ordinary senses. The preceding chapters have shown that esoteric training consists in the development of such spiritual sense organs. Now if, as a result of esoteric training, the student's life during sleep is transformed in the manner described in the foregoing chapter, he will, when in that condition, be able to follow consciously everything going on around him. He can at will find his way in his environment as he could, when awake, with his ordinary senses. It should here be noted that a higher degree of clairvoyance is required for the higher perception of ordinary physical environment. This was indicated in the last chapter. In the initial stages of his development the student perceives things pertaining to another world without being able to discern their connection with the objects of his daily physical environment. It is for this reason that so much is found in books dealing with these matters concerning the dangers connected with the ascent into higher worlds. The descriptions sometimes given of these dangers may well make timid souls shudder at the prospect of this higher life. Yet the fact is that dangers only arise when the necessary precautions are neglected. If all the measures counseled by true esoteric science are adopted, the ascent will indeed ensue through experiences surpassing in power and magnitude everything the boldest flights of sense-bound fantasy can picture; and yet there can be no question of injury to health or life. The student meets with horrible powers threatening life at every turn and from every side. It will even be possible for him to make use of certain forces and beings existing beyond physical perception, and the temptation is great to control these forces for the furtherance of personal and forbidden interests, or to employ them wrongly out of a deficient knowledge of the higher worlds. Some of these especially important experiences, for instance, the meeting with Guardian of the Threshold, will be described in the following chapters. Yet we must realize that the hostile powers are none the less present, even though we know nothing of them. It is true that in this case their relation to man is ordained by higher power, and that this relation alters when the human being consciously enters this world hitherto concealed from him. But at the same time his own existence is enhanced and the circle of his life enriched by a great and new field of experience. A real danger can only arise if the student, through impatience or arrogance, assumes too early a certain independence with regard to the experiences of the higher worlds; if he cannot wait to gain really sufficient insight into the supersensible laws. In these spheres, modesty and humility are far less empty words than in ordinary life. If the student possesses these qualities in the very best sense he may be certain that his ascent into the higher life will be achieved without danger to all that is commonly called health and life. Above all things, no disharmony must ensue between the higher experiences and the events and demands of every-day life. Man's task must be entirely sought for on this earth, and anyone desiring to shirk his earthly task and to escape into another world may be certain he will never reach his goal. Yet what the senses perceive is only part of the world, and it is in the spirit world that the beings dwell who express themselves in the facts of the physical world. Man must become a partaker of the spirit in order to carry its revelations into the physical world. He transforms the earth by implanting in it what he has ascertained in the spiritual world. That is his task. It is only because the physical world is dependent upon the spiritual, and because man can work upon earth, in a true sense, only if he is a participator in those worlds in which the creative forces lie concealed — only for these reasons should he have the desire to ascend to the higher worlds. No one approaching esoteric training with these sentiments, and resolved not to deviate for a moment from these prescribed directions, need fear the slightest danger. No one should allow the prospect of these dangers to deter him from esoteric training; it should rather act as a strong challenge to one and all to acquire those faculties which every true esoteric student must possess. After these preliminary observations that should dispel any element of terror, a description of some of the so-called dangers will be given. It is true that great changes take place in the student's finer bodies, as described above. These changes are connected with certain processes in the development of the three fundamental forces of the soul, with willing, feeling, and thinking. Before esoteric training, these forces are subject to a connection ordained by higher cosmic laws. Man's willing, feeling and thinking are not arbitrary. A particular idea arising in the mind is attended by a particular feeling, according to natural laws; or it is followed by a resolution of the will in equally natural sequence. We enter a room, find it stuffy, and open the window. We hear our name called and follow the call. We are questioned and we answer. We perceive an ill-smelling object and experience a feeling of disgust. These are simple connections between thinking, feeling, and willing. When we survey human life we find that everything is built up on such connections. Indeed, life is not termed normal unless such a connection, founded on the laws of human nature, is observed between thinking, feeling and willing. It would be found contrary to these laws if the sight of an ill-smelling object gave anyone pleasure, or if anyone, on being questioned, did not answer. The success anticipated from a right education or fitting instruction is based upon the presumption that a connection between thinking, feeling, and willing, corresponding to human nature, can be established in the pupil. Certain ideas are conveyed to him on the assumption that they will be associated, in regular fashion, with his feelings and volitions. All this arises from the fact that in the finer soul-vehicles of man the central points of the three forces — thinking, feeling and willing — are connected with each other according to laws. This connection in the finer soul organism has its counterpart in the coarser physical body. In the latter, too, the organs of will are connected according to laws with those of thinking and feeling. A particular thought, therefore, inevitably evokes a feeling or an activity of will. In the course of higher development, the threads interconnecting the three fundamental forces are severed. At first this severance occurs only within the finer soul organism, but at a still higher stage the separation extends also to the physical body. It is a fact that in higher spiritual development the brain divides into three separate parts. This separation is not physically perceptible in the ordinary way, nor can it be demonstrated by the keenest instruments. Yet it occurs, and the clairvoyant has means of observing it. The brain of the higher clairvoyant divides into three independently active entities: The thought-brain, the feeling-brain, and the will-brain. Thus the organs of thinking, feeling, and willing become individualized; their connection henceforth is not maintained by laws inherent in themselves, but must be managed by the awakened higher consciousness of the individual. This, then, is the change which the student observes coming over him: that no connection arises of itself between an idea and a feeling or a will-impulse, unless he himself provides one. No impulse urges him from thought to action unless he himself in freedom give rise to this impulse. He can henceforth confront, devoid of feeling, a fact which before his training would have filled him with glowing love or bitter hatred; and he can remain impassive at the thought which formerly would have spurred him on to action, as though of its own accord. He can perform actions through resolutions of the will for which there is not the slightest reason for anyone not having undergone esoteric training. The student's great achievement is the attainment of complete mastery over the combined activity of the three soul forces; but at the same time the responsibility for this activity is placed entirely in his own hands. Through the separation of the forces of thinking, feeling, and willing, the possibility of a three-fold aberration arises for anyone neglecting the injunctions given by esoteric science. Such an aberration can occur if the connecting threads are severed before the higher consciousness is sufficiently advanced to hold the reins and guide properly the separated forces into free and harmoniously combined activity. For as a rule, the three human soul-forces are not equally advanced in their development at any given period of life. In one person, thinking is ahead of feeling and willing; in a second, another soul-force has the upper hand over its companions. As long as the connection between the soul-forces is maintained as established by higher cosmic laws, no injurious irregularity, in a higher sense, can occur through the predominance of one force or another. Predominating will, for instance, is prevented by the leveling influence of thinking and feeling from lapsing into any particular excesses. When, however, a person of such predominating will undertakes esoteric training, feeling and thinking cease to exert their regular influence on the will when the latter constantly presses on to great exertions of power If, then, such a person is not sufficiently advanced to control completely the higher consciousness and himself restore harmony, the will pursues its own unbridled way, continually overpowering its possessor. Feeling and thought lapse into complete impotence; the individual is scourged by his over-mastering will. A violent nature is the result, rushing from one unbridled action to another. A second deviation occurs when feeling unduly shakes off its proper control. A person inclined to the revering of others may then diverge into unlimited dependence, to the extent of losing all personal will and thoughts. Instead of higher knowledge, the most pitiful vacuity and feebleness would become such a person's lot. Or, in the case of such inordinate predominance of the feeling life, a person with an inclination toward religious devotion can sink into the most degenerate welter. These are the three ways of error into which the student can stray: (1) exuberant violence of will, (2) sentimental emotionalism, and (3) cold, loveless striving for wisdom. For outward observation, and also from the ordinary (materialistic) medical standpoint, anyone thus gone astray is hardly distinguishable (especially in degree) from an insane or, at least, a highly neurasthenic person. 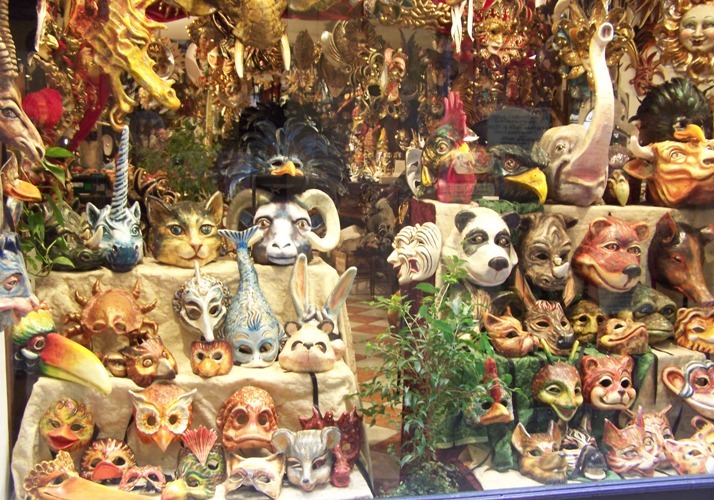 Of course, the student must not resemble these. It is essential for him that the three fundamental soul-forces, thinking, feeling, and willing, should have undergone harmonious development before being released from their inherent connection and subordinated to the awakened higher consciousness. For once a mistake is made and one of the soul-forces falls a prey to unbridled excess, the higher soul comes into existence as a miscarriage. The unrestrained force pervades the individual's entire personality, and for a long time there can be no question of the balance being restored. What appears to be a harmless characteristic as long as its possessor is without esoteric training, namely, a predominance of thinking or feeling or willing, is so intensified in an esoteric student that the universally human element, indispensable for life, becomes obscured. Yet a really serious danger cannot threaten the student until he has acquired the ability to include in his waking consciousness the experiences forthcoming during sleep. 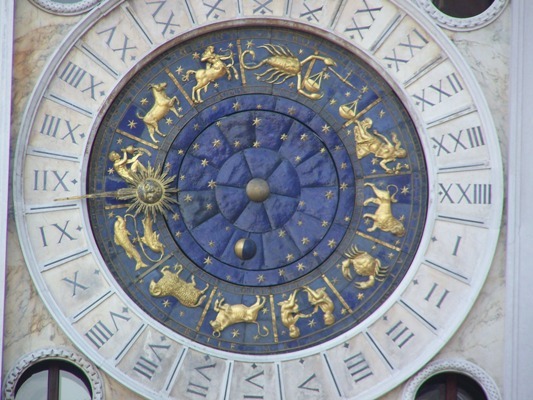 As long as there is only the question of illumination of the intervals of sleep, the life of the senses, regulated by universal cosmic laws, reacts during the waking hours on the disturbed equilibrium of the soul, tending to restore the balance. That is why it is so essential that the waking life of the student should be in every respect regular and healthy. The more capable he is of meeting the demands made by the outer world upon a healthy, sound constitution of body, soul, and spirit, the better it is for him. On the other hand, it may be very bad for him if his ordinary waking life affects him in an exciting or irritating way, that is, if destructive or hampering influences of outer life affect him in addition to the great changes taking place in his inner self. He must seek to find everything corresponding to his powers and faculties which can lead him into undisturbed, harmonious communion with his surroundings, while avoiding everything detrimental to this harmony — everything that brings unrest and feverish haste into his life. And here it is not so much a question of casting off this unrest and haste in an external sense, but much more of taking care that thoughts, feelings, intentions, and bodily health are not thereby exposed to continual fluctuation. All this is not so easy for the student to accomplish as it was before esoteric training, for the higher experiences now playing into his life act upon his entire existence. Should anything within these higher experiences not be as it should, the irregularity continues lying in wait for him and may at every turn throw him off the right path. For this reason the student should omit nothing which can secure for him unfailing mastery over his whole being. He should never be found wanting in presence of mind or in calm penetration of all situations of life. In the main, a genuine esoteric training gives rise of itself to all these qualities, and as it progresses the student only becomes acquainted with the dangers while simultaneously and at the right moment acquiring the full power to rout them from the field.